Vern Burkhardt (VB): "When it comes to radical innovation of meanings, a product's culture reflects the culture [values, norms, beliefs, and aspirations] of the executive who has launched it." Is it that important? Roberto Verganti: Not necessarily, but if I wish to be a good CEO, a good executive, the product design will be affected by the way I see the world. Coming back to the example of Steve Jobs and Apple, you can see that Apple's products reflect the way Jobs sees the world. It's the way he sees life. This is a good thing. One thing that I like a lot about Steve Jobs is that when he can – and the only restrictions has related to his health – he presents Apple's new products himself. He jumps onto the stage and introduces the products. He likes to say his nametag is on the product. Typically executives say it's the team, it's the merit of the team. If the product is successful, okay. If the product is a failure then it's the fault of the team, and it's the users that didn't want it to happen. Instead, Steve Jobs is very proud of Apple's products. He says, "If this product is a failure, it's my fault." Although many people don't like this kind of show off situation Jobs likes to say, "I'm proud of my product." He makes if very clear he is not ashamed of the product he is introducing to the market! Of course he acknowledges he has a team of great people he has chosen to work at Apple. VB: Are there interesting CEO's in Europe that are also noteworthy? Roberto Verganti: Yes, there are many. Often the product offered customers reflects the culture of the entrepreneur. This is the reason they can make people think their products and services are different. They may put an olden times application of how life could and should be, and they bring that interesting interpretation to people through their products. Consider Alberto Alessi. The fact that the Alessi products are very symbolic and emotional is a reflection of Alberto Alessi, who is much more sensitive to symbolic things than most other entrepreneurs. The way Richard Branson, the founder of Virgin, organizes his services reflects the way he looks at life. VB: You advise entrepreneurs to focus on customer value rather than shareholder value. Roberto Verganti: There is an interesting article, "The Age of Customer Capitalism" by Roger Martin that was published in the January issue of the Harvard Business Review. This article talks about the coming age of consumer or customer shareholders. He says that many companies have been driven by shareholder value, and he has demonstrated that this kind of attitude hasn't work very well. You have to be driven by customer value to build a long-term, profitable company. If you focus on being proud of what kind of products you offer to consumers then eventually your company will be successful and shareholder value will come. I think the attitude of many CEO's and front line managers are so focused on shareholder value they forget about the consumer value, which is ultimately what makes a company profitable. VB: "If a product is meaningful, there is no need to overburden it with powerful functionality." Are new products, including electronics, with a large number of functions that are difficult for most consumers to understand and use an indication these products were not designed with a clear idea of their meaning? Roberto Verganti: In a way, yes. Sometimes when a product is overburdened by functionalities it's a sign that the company didn't have a clear idea of what they wanted to achieve, so they didn't have a clear meaning of what this product should be. Or they follow democratic processes too closely, and sometimes this eventually puts aside any kind of focused functionality because different engineers and designers want different and sometimes incompatible things in the product. When you have a product that is meaningful, like the Nintendo Wii, a lot of functionalities may be put aside in its design. You could include a thousand additional features, but eventually you need to conclude that what people are interested in is to make some physical movements similar to what they would do in an actual situation, such as playing tennis. And they want to socialize with other people by playing together or watching each other play. So who cares about the many functionalities that were not included? Many people criticized the iPhone because they couldn't use it to send MMS in the beginning. Who cares? If the product is meaningful you forgive some features because the product makes sense. VB: Could it be that when a product has too many functions the designers were trying to appeal to everybody, but it makes it so complex everybody's unhappy? Roberto Verganti: Exactly. That's a good explanation. If you want to buy a mobile phone you go to the website of Nokia and you pick from a large number of options the specific phone for you. If you want to buy an iPhone, it's just one. It's black and that's the only choice. It's a bit like Henry Ford's Model T – it works. VB: How does "technology epiphany" relate to radical innovations of new meanings? Roberto Verganti: Companies can innovate and find the real value of technologies by looking for the meaning that the new technology can enable. When a new technology emerges companies tend to stick with the old meaning. Let's take an example. When the quartz technique was invented for watches, the first companies that used quartz technologies simply substituted the mechanical movements in watches with the quartz technology. And in that way the watches could be less expensive, more accurate, and require less maintenance. But substitutions usually do not attach new meanings to a product. Usually technologies can enable a new meaning. For example, the Swatch used a quartz technology, not simply to substitute the mechanical movement, but to change the meaning of a watch. Because the Swatch said, "Ok let's imagine that we can use quartz technology and have watches that cost $40 to $50." If that's true, then a watch can become a fashion accessory. People can have more than one watch. So the main thing is not simply that you have one watch that costs less. It's that you have several watches – four, five, six, or more – just like ties. And that is a change in meaning that is enabled by new technology. It's what I call a technology epiphany. In Italy – I don't know if it's also true in the U.S. and other parts of the world – the day after tomorrow is the epiphany. Yet 'epiphany' etymologically means the higher, more valuable meaning of the essence of something. The real meaning of epiphany in the Catholic religion is when Jesus reveals himself so people finally discover that this little child is not a child. He is Jesus, the Son of God. So technology epiphany is being capable of finding the real meaning – the more valuable meaning – that is embedded into a technology. It's not simply a substitution of an old technology to produce the same functionality with the same meaning. The Swatch is an example of this. VB: And in fact the meaning of the Swatch became very much tied into fashion. Roberto Verganti: Exactly. It's a fashion accessory. Fashion is the essence of its meaning; its function is to provide the owner with the time of day. The Swatch enables you to have one to match the color of the clothes you are wearing. VB: "One of the greatest benefits of design driven innovation is that it is likely to produce business classics, yielding great profits from both the product itself and the halo it bestows." You give Apple as an example. Are there other equally good examples in Italy? Roberto Verganti: Yes. In the book I discuss an example of the 'Panda' by Fiat. It is a car that was launched in the market in 1980 and stayed successful in the market until 2003. During that time it was always the top-selling car among city cars in Italy. It was a great design. It was a very cheap car but only slightly less than the industry average. In one survey, only 38 percent of customers reported to Fiat that they considered price a significant reason for buying a Panda. Typically, price is important for companies, but this was not simply a product that was dramatically cheaper than the others. You can easily design a car that is cheaper. You cut costs on the seats of the car. You use poorer leather or make other design tradeoffs. VB: Or no leather at all. Roberto Verganti: Or no leather at all – just fabric, plastic, or other cheaper material. The Panda had a different meaning. Instead of having seats in the back, the back seat was a hammock. It was unbelievable. It was just a piece of fabric that was hanging onto pipes. They didn't follow the usual approach in the late 1970s for a city car in which the concept was to provide a minimum performance for a low price. They squeezed the occupants into minimal space – a poorer version of a more luxurious car – pretending to have the same meaning as the more affluent vehicles produced by the manufacturer. Panda's designer, Giorgietto Giugiaro, conceived the car to be a "no frills, big thrills" car in which the design started with the question, what is the real meaning people could love in a city car? The car's interior and exterior styling was unconventional, but it remained contemporary for over 23 years. The metaphor I use for this car is that it was a car in sneakers. It was not simply less expensive. It had a different meaning – like sneakers. They are less expensive but you don't buy them because you want to spend less money. You can still buy classic men's shoes that look very poor but you pay less. When you buy sneakers it's because you want to have something different. The Panda by Fiat stayed in the market for years. Other companies could easily provide more functional, less expensive products. But people were so into this new meaning of, "Who cares about the other car? I want to have this one – Panda – because to me it means something more than the others." People didn't care about the total cost of ownership, even though the Panda's resale value topped that of competitors for its entire life. Artemide, which has existed in Milan since 1961, is a world-renowned producer of beautiful modern lamps. Its lamps have been exhibited in some of the world's most important museums of contemporary art and design, and it has won many design awards. There are lamps that have been in its catalogue since 1997, and they are still best sellers for the company. For Alessi the teakettle with the bird, designed by Michael Graves and launched in 1985, is still among the best sellers for the company after more than twenty years. Harley Davidson is another great example. There are many, many products that have become classics. Classic, not because they are old. Classic, because they still sell a lot. And people want them. If products are great in design and the products are meaningful people are not interested as much in performance. They simply buy because it's meaningful and they don't want to have anything else. VB: Are there comparables in Italy to the Harley Davidson, or is it also the most popular one in Italy? Roberto Verganti: No, I think in Italy the most popular motorcycle is the Ducati. Ducati also has the great classics like the Desmosedici. People like them because they make a special noise because of their transmissions and perhaps their engines. VB: "…radical innovations are often developed by collaborative circles: interpreters who share a common vision and revolve around a common centre (perhaps a school, a cultural institution, a major scholar)." And you also say, "Identifying emerging circles therefore implies immersing yourself in the design discourse to detect the most muted whispers…." What are muted whispers? For example, you may think 'I have to go to the TED conference', a very popular conference in the U.S. among people dealing with innovations. Or in Italy, 'I have to go to the Furniture Fair' – this is the kind of event where everyone goes. You cannot miss it. The problem is that if everyone goes, if everyone listens to a TED conference – which is very interesting – it's not likely to help in identifying future possibilities. I also listen to the TED conference speeches – it seems to be mandatory to listen because otherwise you're not well informed. But it doesn't make any difference, because I don't believe there will be new ideas for business. The most insightful things are not available on the Internet, and are not spoken loudly at big events and trade conferences. The most insightful things are whispers, and you have to be carefully listening in order to hear them. When something is spoken loudly then everyone can listen to it, including your competitors. So it doesn't make any competitive difference for you. I'm not saying it is not important. It is important but it's not a differentiator. You have to be immersed in an environment where your competitors are not immersed. If you are a food company, every food company works with chefs. It's easy to obtain their opinions about food. Maybe you conduct interviews with chefs to understand how the world of food is moving. Of course, you have to talk to chefs but every company in the food industry, including your competitors, talks to chefs. So it doesn't make any difference. But if you are a food company and are talking, for example, to a company that is producing kitchen furniture it can be interesting and helpful, because companies doing kitchen furniture design are constantly trying to understand how people give meaning to cooking and eating. So they are good interpreters. But not every company producing food products is thinking about interpreters, and about how to get ideas for new kinds of food that may provide meaning to diners. The point is that you have to listen to whispers, listen to interpreters that your competitors are not listening to. VB: And recognize the whispers that are important enough to act on. VB: What is your favorite example of a product brought to the marketplace as a result of a design-driven innovation project in Italy? Is it the Panda or are there others? Roberto Verganti: Of course the Panda is a great example but the most extreme are definitely kitchen products by Alessi. I'm not saying that it is the one I like the most but it's the more effective in terms of explanations of what is innovation in meanings. Alessi, as I said before, transforms kitchenware from tools – coarse tools – to objects of affection. It's a good example because everyone knows Alessi products – they are very popular. Before Alessi, no one would think that you could buy a corkscrew that looks like a dancing woman, or a kettle with a bird singing. But when Alessi did it, everyone fell in love not because they were major new ideas, but rather because they were more emotionally attached. Many people believe that Alessi or a designer was taking a shower and suddenly had an idea – a Wow idea! We could design a kettle with a singing bird or a dancing corkscrew! Actually nothing like this happened. There was a lot of research behind the design – about three or four years of research to conceive of the meaning. The thought that people would buy a corkscrew not because they needed a tool, but because they wanted to be symbolically and emotionally connected with other people, is not so obvious. It takes research to understand how people could give meaning to these things. VB: It's not the companies with the largest R&D budgets that are the most successful at design-driven innovation. If you were advising a company on how to transition to using design-driven in its portfolio of approaches to innovation, what would you say? Roberto Verganti: There are three things I would say. The first one is you have to ask the right question. The right question is not, 'How can we do a product that is functionally better than the competition provides?' That is a good question, but you also have to ask, 'What is the next meaning that people will look for in our industry?' If you don't ask this question, another competitor will ask it and take the market. Meanings always change in any industry – and I do mean in any industry. So the first point is asking the right question to look for the next meaning – the next wave of meanings. This is very important. Second, to find answers to the question, 'What could be a new meaning?' you have to do two additional things. Firstly, build capabilities, which means find interpreters. To find interpreters you have to immerse yourself into the networks of researchers who do investigations about the meanings of things. Secondly, you have to develop good working relationships with others in your industry and beyond in related industries. The third thing is to have a design process rather than trying to rely on a guru or charismatic leader. Behind Apple there is no guru. Steve Jobs asks the right question because he wants to find new ways to give meaning to things. The design process is described in the book. The reason for success isn't due to fate or chance. Of course, when you're dealing with radical innovation sometimes you can fail. There's risk. But there is a process that can help you challenge and reduce risk, and improve the probability of success. VB: Would you tell us about your involvement in the Sistema Design Italia? Was it a significant influence in helping you fully understand design-driven innovation? Roberto Verganti: Yes. This was research I conducted about twelve years ago. It was the first huge research project about how companies need to be more successful in managing design. It introduced me to the mysteries of these companies. Many of the companies in northern Italy that we studied were quite small in size, but had revenues that grew at a remarkable rate. Some examples are Flos, Cassina, B&B, Kartell, Italia, Alessi, Artemide, and Snaidero. We did 74 case studies that included firms of various sizes in different industries, countries, and markets – in both products and services. The project had a huge budget and it helped me get in touch with these entrepreneurs, to immerse myself in their network. These entrepreneurs are usually not very keen to interact with scholars from business schools. So the Design School at Politecnico, which helped open the door to all these entrepreneurs, led this research. The innovation process these firms follow was not previously written down; it didn't include written methods, tools, and steps. VB: The Design School opened the door for you, but how did you gain the entrepreneurs' trust? Roberto Verganti: It took a lot of time, and I have to especially thank my colleagues from the School of Design of Politecnico di Milano because the entrepreneurs trusted them. As I said they didn't trust a professor from the management school! When I tried to get close to these entrepreneurs by telling them, "I'm a professor at business school," they said, "Ok, but we don't share anything in common. We don't see anything useful in talking to a business school scholar because what is taught in MBA programs is not useful for us." It therefore took me a while to develop the trust of these entrepreneurs, to persuade them to permit me to interview them about their ideas, and to open their company books. It became easier when they realized I didn't intend to bring them the mantra of the traditional business school. I was there to learn from them. Also, Ezio Manzini of the School of Design helped me understand the differences between user-centered approaches and the dynamics of design-driven innovation. This was useful in understanding the approaches of the entrepreneurs. VB: Why were these entrepreneurs not keen to interact with scholars from business schools? Roberto Verganti: Typically business schools teach innovation processes that include things like being user-centered, trust the numbers, don't trust your culture, and don't build scenarios. The economic models are all about utility, and that meanings are not important. So everything you learn in business schools is useless. Actually it's an exaggeration to say it's not useful, but it is true that it's not enough. If you want to do design-driven innovation you need to add feeling for intangibles, and you also have to be capable of having a vision. VB: Did the Italian entrepreneurs you interviewed learn their design-driven innovation skills through trade association networks, and social events such as dinner meetings? Roberto Verganti: There are a lot of informal networks. Formal networks, such as trade associations, are not well developed. The entrepreneurs' networking mostly involves local, personal relationships. Typically they meet through schools, the Museum of Design, or through creative magazines. Because the day-to-day decisions tend to move toward the average behaviors within an industry the entrepreneurs who want novelty in their innovations talk with companies in other industries, not within their same industry. VB: When you refer to "schools," do you mean universities? You said that most entrepreneurs have not taken MBA's but presumably they have taken other university degrees. Roberto Verganti: Yes, a lot of their degrees are in engineering or architecture from Polytechnico. For example, there was a group with a name, when translated to English from Italian, would be the "Network of the Nine". There were nine entrepreneurs who used to meet regularly at the Design Museum in Milan, because they were founding a new design magazine. They came from different industry segments: one from lighting, one from furniture, one from kitchenware, and one from fashion. This meant they were not competing with each other – they were sharing a vision about how you can use design for doing business. Milan is not a huge town, and when you are an entrepreneur you eventually meet people in many different business sectors. The typical picture of entrepreneurs in the U.S. is that they meet at the golf club and do business there. These people in the Network of the Nine meet at the design museums or at other places that focus on creative design. VB: Do business people in other countries in Europe understand and apply design-driven innovation? Roberto Verganti: The experience of design in the way I talk about it in the book has been much more prevalent in Europe than in the U.S. And therefore my book has a much more radical message for people in the U.S. than for Europeans. Europe has always been more attracted by meaning as a cultural approach to innovation, rather than by functionality and performance. VB: What research projects are you currently working on? Roberto Verganti: That's a good question. I am currently intrigued by two subjects, which are related to my book. The first is to explore in depth the relationship between design and technologies. Design isn't used to differentiate products at the end of a lifecycle in an industrial sector. Rather the question is how can design be used at the beginning when a new technology is first available? This process of technology epiphanies intrigues me a lot at the moment. The second project is trying to help companies identify and engage new radical interpreters before their competitors find them? It's a question of the best way of finding noncompeting interpreters who are investigating and influencing future meanings in their industry. VB: You said there is still a lot that needs to be studied about design-driven innovation. What are some examples? Roberto Verganti: I am intrigued by the interaction between design and hi-tech. For example, it would be interesting to investigate design in search engines. Not web site design, but the strategies and meanings behind search engines. Actually we are currently doing a huge project on innovation and meanings in search engines – search computing. The other thing that is intriguing me is what will be the next steps in innovation design in business-to-business industries. There are a few examples but I think there is a need to study more about how meanings change in business to business environments. I'm a researcher, and there are still many interesting avenues to be investigated about design-driven innovation. VB: Earlier you said that you were an engineer by training. What initially led to your interest in the management of innovation? Roberto Verganti: This brings me back to the late eighties. Being an engineer I'm intrigued by innovation. I was an electronics engineer, working at a telecom company at the beginning of my career. When I went back to university for graduate studies I did a lot of research about high-tech industries. What intrigued me about innovation is that it's not just about the utilitarian aspects of function and performance. Equally important is symbols, identity, and emotions – in other words, meanings. I was especially intrigued because these companies were doing something very special and unique, and no one had investigated how they could be so successful. You have to wonder why companies like Alessi, Artemidi, Kartell could be successful. As I said earlier they are very small. Alessi is 500 employees. Artemidi is 250; Kartell is 70 employees. They are popular in industries that are quite traditional. It's easy to become successful in software or in really high-tech industries, because these industries are moving so rapidly that you can also grow very rapidly. But when these small companies are able to become popular in industries that are very static, it must mean they are doing something special. And no one ever investigated them so I was even more intrigued. VB: It led to a lifetime career. Were you the first to write a book on design-driven innovation? Roberto Verganti: There have been books about design innovation in the past, but they merely looked at it from a more incremental perspective – creativity and finding new ideas. What I'm talking about is something different. It's not about creativity. I don't know if you noticed that I have not talked about creativity during our interview. Many books about creativity make this confusion about design. Meaning needs to be created. You have thousands of ideas. That's good for incremental innovation, but when you want to radically change the meaning of things you just need one very strong vision. A vision is not an idea. A vision is a strong belief that people will love something so the process is completely different. To that extent my book is different than what was previously investigated. There have been a couple of workshops in the Academy of Management Conference in the past few years about design-driven innovation. Scholars are increasingly studying it, because they understand that something interesting is happened here. There is a lot that still needs to be investigated. VB: If our readers read Design-Driven Innovation, will they learn how to do business with design? Roberto Verganti: They will learn how to radically innovate the meaning of things. They will learn how to do business with innovation, not just in technologies but also in finding new applications and new meanings. I don't know if that means they will learn to do business with design. VB: Are there any secrets to creating design-driven capabilities in an organization? Roberto Verganti: They are not secrets anymore. They're all in the book! VB: Did you design the cover of your book? It's beautiful. Roberto Verganti: That's an interesting question. Originally, my idea was to have a painting by the Belgian surrealist artist, Rene Magritte. My preference was the painting "The Treachery of Images," which is of a pipe with has a sign below that says, "Ceci n'est pas une pipe" – this is not a pipe. His ceci n'est pas works provided a juxtaposition of ordinary objects in an unusual context, which gave new meanings to familiar things. So Magritte was right – you can't smoke the image in his painting so it isn't a pipe. It's a new meaning. But the editor for the book said, "No, this is too complex. Our readers would never understand it." Harvard Business Press representatives pressed upon me that they knew how to attract people to the book. They proposed the cover we used, which is very nice because it's a change in meaning from the paper airplane to the shadow – not to the real airplane. It was very clever. But now I laugh! I thought that my idea of Rene Magritte for the cover was great, but instead it was completely wrong, and I am thankful to the publishers that they chose the right one. VB: Perhaps a Magritte could be the cover of one of your articles. Roberto Verganti: Actually the Magritte painting is the cover of the Italian version of the book, and people love it! That explains a lot about the difference in culture between Italians and other countries. I think that the cover used in the English version wouldn't be successful in Italy. Different cultures. VB: What about the illustrations inside the book? Roberto Verganti: My idea for the illustrations inside the book was that they should be whimsical line sketches of the products I'm talking about. The point is if we showed the product using photographs people would believe this is a book about the design of products. Actually the book is not even about products; it's about meanings. If you only see the product you don't see the meaning. You see simply the shape – an old message instead of a new one. The artist set out to design illustrations to portray the action, the meaning. So they're more like symbolic illustrations about what is the real meaning. For example, you see a woman sleeping with a corkscrew designed by Alessi, and she's holding it like a teddy bear because that's the meaning. Roberto Verganti: I'm working on a couple of articles at the moment. One is about technologies and design. Maybe a couple of books can come from this research. I'm a musician. I was talking to a friend a couple of days ago and he said, "After your first album is a big success everyone wants another one." This is like a book. The problem is that typically if you are asked to write another book for marketing reasons, you might sell a lot of copies but spoil yourself. It took me ten years to write Design-Driven Innovation, and before I write another one I want to have very good material. VB: And just like Design-Driven Innovation, you want it to be a work with meaning. Roberto Verganti: Exactly. You get the point. Less noise and more substance. VB: You said you are a musician. Roberto Verganti: I, like many teenagers, played a guitar in a band. We had some success in that we had a recording in Italy. The music environment is quite difficult and eventually engineering management attracted me more than the music band. I still play. I didn't write Design-Driven Innovation as a handbook. In a way, I wrote it as a piece of art, to be inspiring to people. You also have all the tools to present, but before moving to the tools you have to inspire the reader – otherwise nothing changes. So that was the musician in me that crept into the book. VB: Do you do vocals in the band? VB: Is the record still available? Roberto Verganti: Oh, that was 20 years ago. I have an MP3 version, and we still play sometimes as friends – but nothing serious. VB: You are not the first engineer I've met who is a musician. Is there something about the creativity of being an artist and an engineer, and combining those two together? Roberto Verganti: I was talking with my wife about this very question yesterday. There are two ways of thinking about creativity. The artist creates because he feels things. He doesn't know how he does things. He feels it. And he is very creative and has a lot of ideas. There is another type of creativity, which is much slower and goes into research. Actually all the engineers are creative. They aren't fast and explosive like designers or painters. They often make innovations that change our lives much more than the fast-paced creativity of many creative people. Engineers' creative process is slower and deeper, in a way. And you can find that also with musicians. The metaphor is Johan Sebastian Bach. Bach was an engineer of music. Everything is perfectly designed; you see there is a lot of thinking, a lot of research. That is creative. Engineers are the Bach of music. VB: Is there anything else we should talk about? Roberto Verganti: No, it's been a great interview. It's been a pleasure. VB: I appreciate the time you've taken to talk to me, and the ten years you devoted to writing Design-Driven Innovation. Author Roberto Verganti points out that design-driven innovation is a suitable strategy for large and small firms offering products or services in either consumer or business-to-business markets. Italian manufacturers have pioneered this approach for decades, and Verganti shares with us some of their secrets. Sensation/memory/imagery – the product's emotional and poetic meaning, and the intimate motivations that can lead people to buy it. The author describes how to build design-driven capabilities, which include internal capabilities, a network of "privileged relationships with key interpreters in the design discourse", and the ability to integrate these insights and identify your own vision. By reading Design-Driven Innovation we can begin to learn how to leverage design to enable our organization to innovate in unique and profitable ways. Dr. Roberto Verganti is a full Professor of Management of Innovation at Politecnico di Milano, where he teaches at the School of Management, at the School of Design, and in the Doctoral Program in Management. He is a Visiting Professor of Design Management at the Copenhagen Business School, and Adjunct Professor of Design Innovation Management at the University of Vaasa, Finland. He is also Scientific Co-Director of the Master Degree in Strategic Design of Politecnico di Milano. Roberto Verganti is Founder and Chairman of PROject Science, a consulting institute for strategic innovation of businesses, organizations and products. He is Director of MaDe In Lab, the laboratory for advanced education on Management of Design and Innovation of MIP-Politecnico di Milano. He was awarded the "Compasso d'Oro" 2001, the most prestigious design award in Italy, for the research project Sistema Design Italia, Best Paper award at the EIASM International Product Development Management Conferences in 2002, 2003 and 2004, and Best paper award at the EurOMA (European Operations Management Association) Conference in 2000. 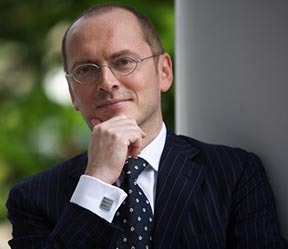 He has been a keynote speaker in events such as the World Business Forum and The Economist Big Rethink, and scientific conferences, including the International Product Development Management Conference and the European Academy of Management. Roberto Verganti is the author of more than 150 publications on management of innovation including more than 50 articles on scientific journals such as the Harvard Business Review, Management Science, and the Journal of Product Innovation Management. He is also co-author or author of 14 books including Gestire l'innovazione e innovare la gestione (2000), Organizzare le PMI per la crescita. Come sviluppare i più avanzati modelli organizzativi: gestione per processi, lavoro per progetti, sviluppo delle competenze (1999), L'impresa dell'innovazione. La gestione strategica della tecnologia nelle (2004), Design Driven Toolbox – A Handbook to support companies in Radical Product Innovation (2006), Design-Inspired Innovation (2006), and Design Driven Innovation – Changing the Rules of Competition by Radically Innovating what Things Mean (2009).